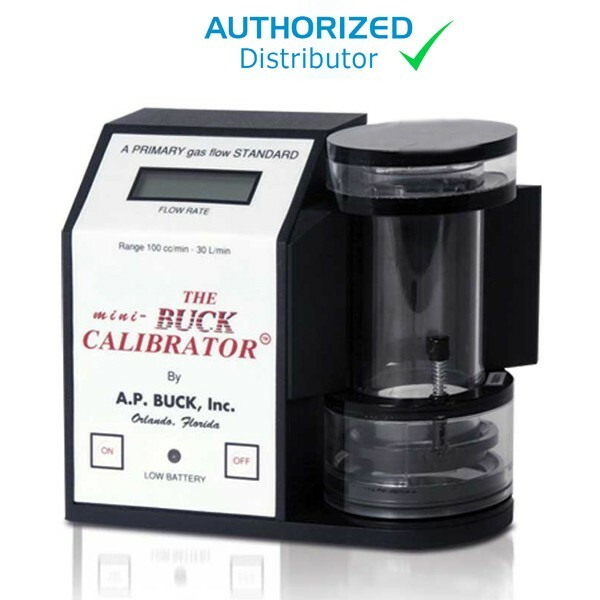 The mini-BUCK Primary Flow Calibrator is the industry standard for day-to-day flow verification and calibration of your personal and environmental sampling pumps. It is also suitable for verifying rotameters, setting instrument panels, and calibrating laboratory instrumentation. No more lugging oversized calibration panels. No more rotameter inaccuracies. The mini-BUCK is accurate at any altitude. Rugged design provides fast, one-handed operation with an easy-to-read LED display visible even in sunlight. Flow cells are sun shielded, with a sealed bubble stem for pressure readings, easy to clean, won’t leak even if unit is inverted. The mini-BUCK automatically displays averaged readings of volumetric flow and is NIST traceable with display accuracy of ± 0.5%. Now you have the advantage of accuracy and portability in one compact package that can be used in the lab or in the field.